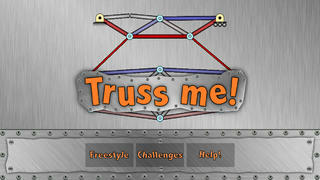 Designed by a true rocket scientist, Truss Me helps you learn to design structures while having fun! 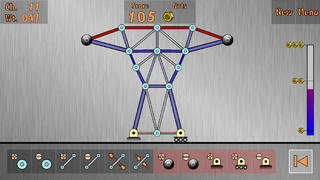 At each challenge, design structures that are light and strong and you will earn precious golden nuts. 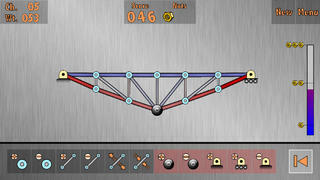 Truss Me utilizes state of the art simulation techniques used by aerospace, mechanical, and civil engineers to provide the most realistic behavior for your structures. 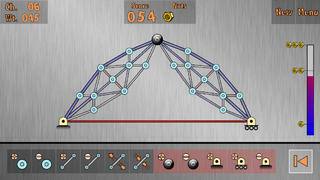 If well designed, your structures will resist as they would in real life*. If your design has flaws, the structure will fail realistically*! *Truss Me has been created for educational and recreational purposes only. It must not be used under any circumstances to design or compute real structures.